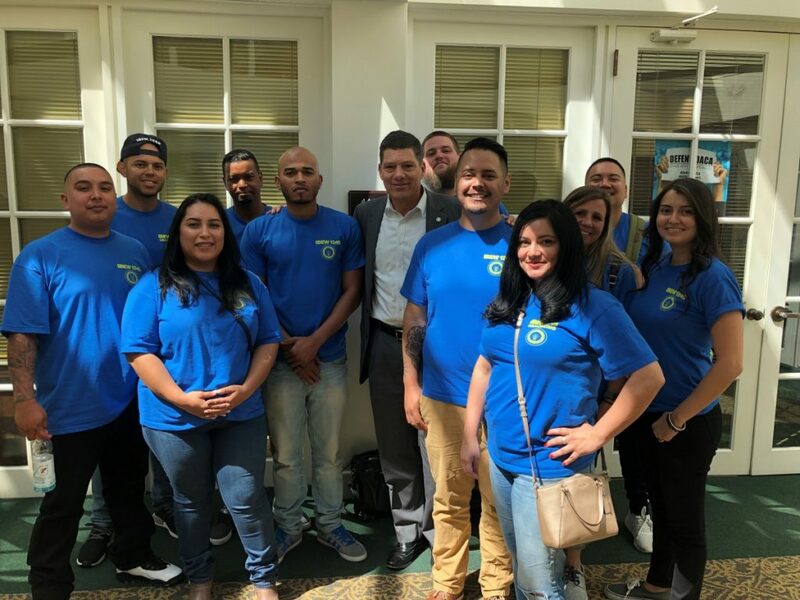 On June 20, 2018 a dynamic group of Local 1245 organizing stewards descended on the State Capitol once again to express support for SB 1088 as it came before the Assembly Utilities and Energy Committee. This bill takes a pro-active approach to planning for future natural disasters with bold steps to force the California Public Utilities Commission and investor-owned utilities to re-align their primary focus to their core responsibility – protecting the public’s health and safety. Organizing Stewards Sandi Busse, Georgette Carrillo, Alvin Dayoan, Hector Gonzalez, Ramon Gonzalez, Ricardo Hernandez, Brian Huffman, Nancy Martinez, Vanessa Mejia, Charlotte Stevens, Josh Wellman and Cory Alves quickly jumped at the chance to attend the hearing. Five of these organizing stewards had never attended any sort of legislative hearing before, and appreciated the opportunity to witness the process first-hand. At the end of the day, the bill made it out of this critical committee with no changes or amendments.